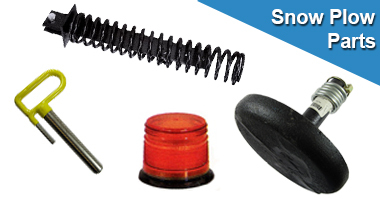 Stock up on common replacement Snow Plow Parts, including plow shoes, plow lights, trip springs, driveway markers, and much more. Don't let your broken plow leave you stranded in your driveway. And for you professional snowplowers, a well-maintained plow means more business during a big snowstorm.